History At Play™ was created to educate and entertain students young and old, from all over the world. Our living history performances breathe life into the stories of influential and oft forgotten women. Founder and Artistic Director Judith Kalaora discovered historical interpretation through her work at The Freedom Trail Foundation© of Boston, MA. 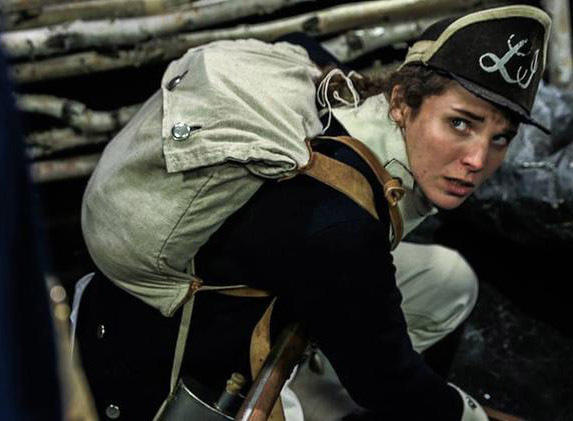 It was with the Foundation that she portrayed Massachusetts' Official Heroine Deborah Sampson and noted the repeated occurrence of guests and visitors asking, "Tell me more about Deborah!" Our debut performance, A Revolution of Her Own!™, chronicling the life of Deborah Sampson, premiered in 2010, and has been touring nonstop, even appearing as part of the United Solo Theatre Festival, on 42nd Street, in New York City. Our living history adventures first brought us along the independent and assisted living community circuit, thanks to the efforts of Sage Educational Services. It was at these communities that we found loving, supportive, and genuine audiences. After each performance, the resounding question was, "So, who else do you portray?" ​Within one year, we created two more living history performances, chronicling the lives of Lucy Stone, a suffragist and human rights activist, and Annie Adams Fields, an author and philanthropist. Then, in 2013, we debuted Tinseltown Inventor: The Most Beautiful Woman in the World™, about Hollywood Starlet and technological genius Hedy Lamarr. 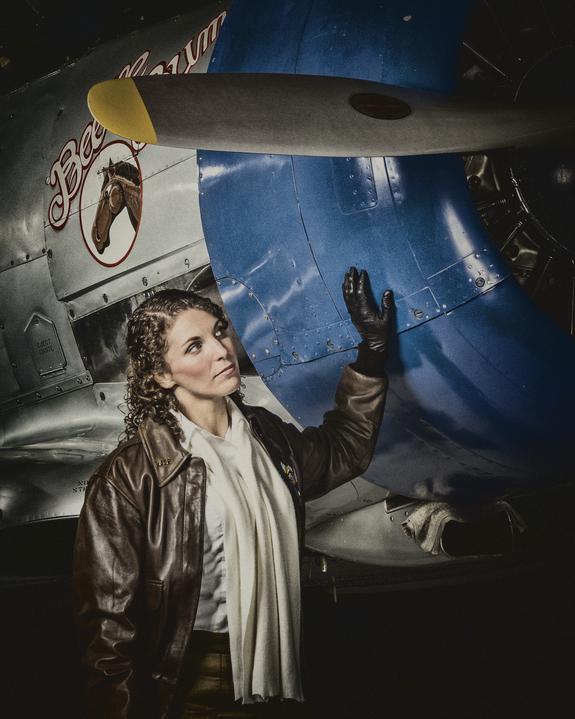 In 2016, we returned to our Massachusetts roots, in honor of the 30th Anniversary of NASA's Teacher in Space mission, to highlight the life and achievements of Massachusetts native Christa McAuliffe and in 2017, World War Women: The Unsung Heroines of WWII premiered on Pearl Harbor Day (December 7) to commemorate the lesser known stories of remarkable women in the Allied Military and Civilian Services. We know what you're thinking, "Why do you only portray women?" If you think History At Play™ only chronicles women, think again. Our 2014 ensemble performance A Downton Experience™, brings the beloved characters of the hit television series Downton Abbey© to life. 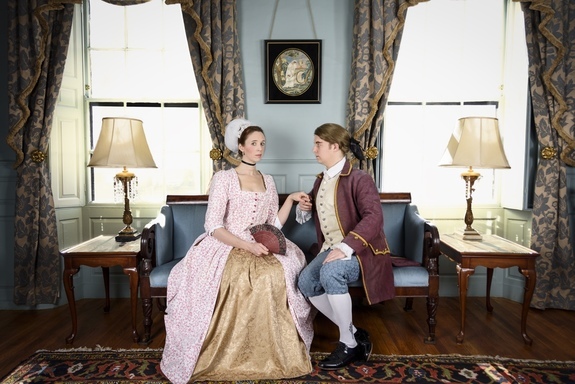 And a new ensemble performance captures your imagination and excites your Broadway senses, as History At Play's The House of Hancock: A Hamilton Tribute chronicles the lives of Boston's very own Founding Father and Mother John and Dorothy Hancock! No matter what the venue, and no matter who the audience, History At Play™ inspires and exhilarates students of history. We perform for corporate events, museums, national parks, social clubs, fundraisers, places of worship, schools, libraries, and historical societies! Anywhere that education and entertainment can come to life, History At Play™ can come to you. September 20, 2018 MA Dudley 7:00 pm I Now Pronounce You Lucy Stone! August 12, 2018 MA West Brookfield 2:00 pm I Now Pronounce You Lucy Stone!